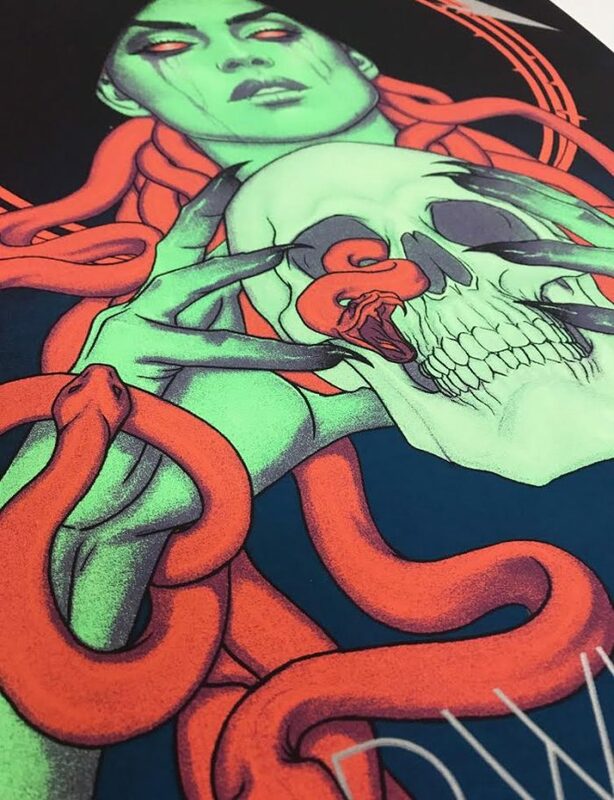 METALLICA 1/24 Nashville print by Jenny Frison! 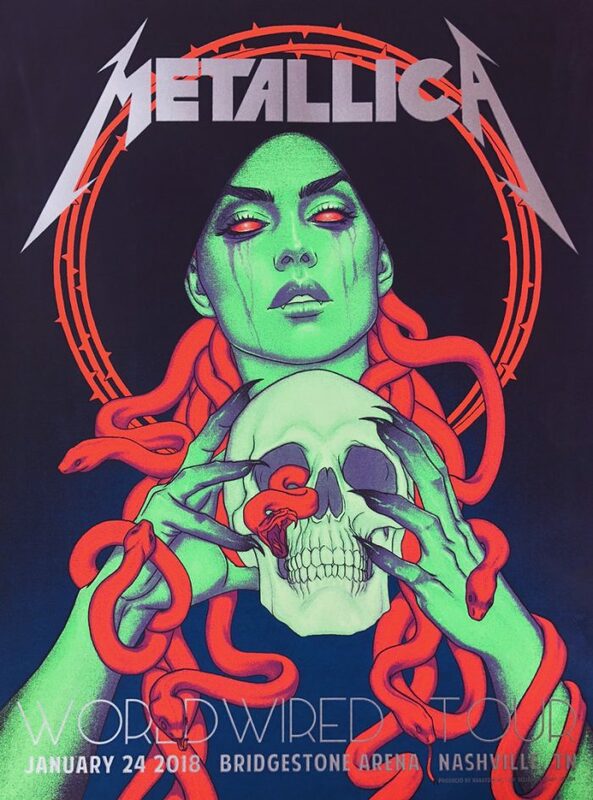 Comic book artist cover artist extraordinaire Jenny Frison turns her considerable talents towards the METALLICA WorldWired tour! Available HERE at 2pm Central on Monday 1/28 in the Metallica section of the Nakatomi store! This hand-printed artist proof edition of 100 features metallic silver ink in the logo and type! Pick one up HERE at 2pm Central on Monday 1/28! ← METALLICA Birmingham by YOSHI YOSHITANI!